Award-winning chef chocolatier Norman Love has created an unparalleled collection of unique and delicious chocolates that have an utterly beautiful jeweled appearance. There is true joy in his flavor creations including Caramel Macciato, Peanut Butter Banana, and Hazelnut Praline Truffle. 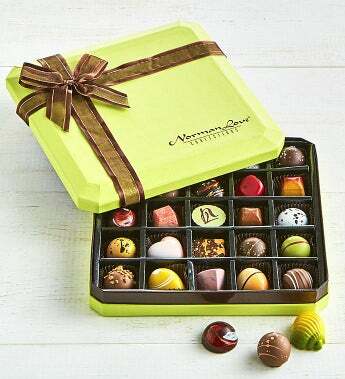 These chocolates are hard to resist!